Plan the perfect family vacation at Sol Cayo Santa Maria hotel. 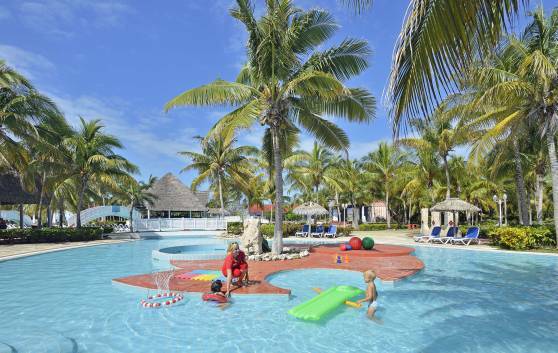 At the 4-star All-Inclusive Sol Cayo Santa María Hotel, you will find offers for family vacations: adults and children of all ages. We offer family suites, mini-clubs, baby-clubs, baby sitting services and a special show for families. The All-Inclusive hotel includes everything you and your family need for a full vacation—all meals, lodging with daily housekeeping service, and most activities. Adults have many choices. Our sports program is quite extensive—offering tennis, ecological day trips, catamaran, sailing boats, snorkeling and windsurfing. 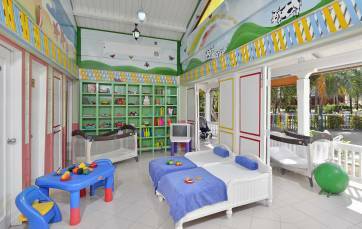 Here they will enjoy a wide variety of games, entertainment and activities for children from 0 to 3 years of age. Your kids will want to stay on. A special treat for your children and the assurance that they are having fun under the supervision of highly competent professionals. A special treat for your children and the assurance that they are having fun under the supervision of highly competent professionals. 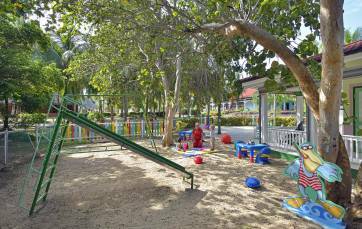 Here they will enjoy a wide variety of games, entertainment and activities for children from 3 to 12 years of age. Your kids will want to stay on.